In 2017, many eBay sellers will turn to the dropshipping business model and use automatic software and services like PriceYak, dshopit, salefreaks, and others in order to automatically list and reprice items from Amazon to eBay. 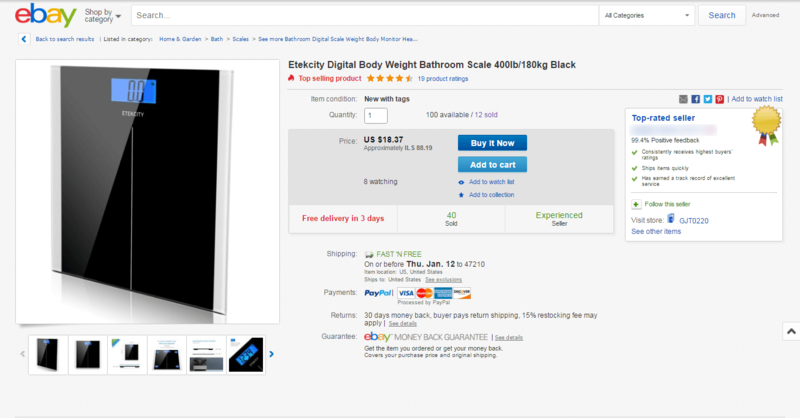 How Does DropShipping from Amazon to eBay Work? Using Amazon as their source of products and supplier – many eBay sellers use software to create listings on eBay, with the exact same item, title, photos, item description (and higher sale price). Then once the Amazon product is purchased on eBay, the software automatically orders the item from Amazon and ships it to the eBay customer. When eBay sellers use dropshipping from Amazon, some problems may occur when copying item titles from Amazon to eBay, due to the difference between the eBay and Amazon platforms. 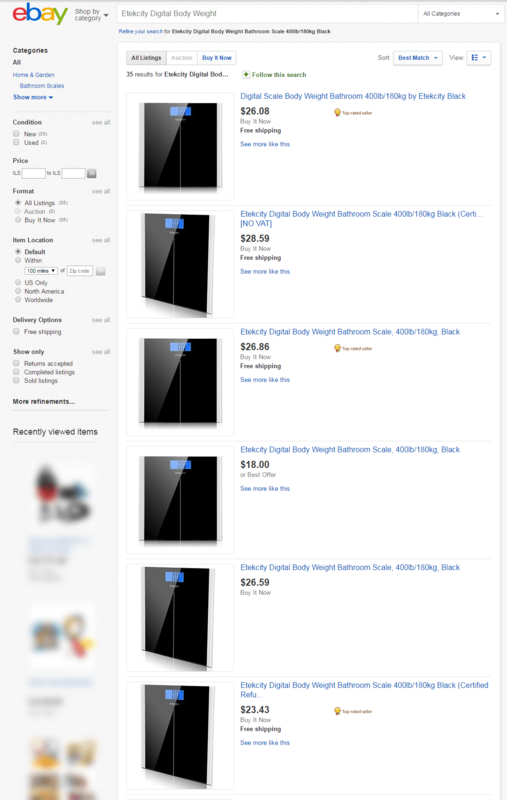 For example, Amazon sets product titles to 256 Characters per guidelines; however, eBay item titles are limited to only 80 characters, so sometimes the program omits important keywords when copying the title across from Amazon to eBay. These missing keywords can be relevant to user’s search such as: Item Color, Brand, Model or other item specifics such as Material, Size, or target audience. Your eBay Item title is one of the most important factors for eBay’s search engine because it allows it to sort and show relevant items in search results using the Best Match algorithm. 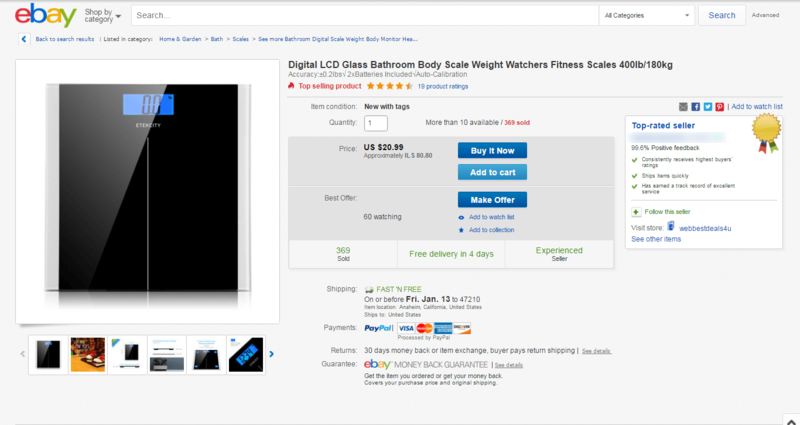 eBay sellers, and specifically dropshipping sellers, should consider changing their item titles to include popular and more relevant keywords in order to get better visibility in eBay search results. Example: Same eBay Item, Different Titles. Who Sold More? In the pictures below, we can see the same item from Amazon (UPC: 783956540614) listed on eBay by 2 different eBay sellers. One seller is using a copied title from Amazon, while the other has changed and edited the item title into a longer version with more keywords. The first eBay seller, with the copied item title from Amazon had 12 sales at a price point of $18.37. The second eBay seller, with the edited item title version had 366 sales at a price point of $20.99. If you are selling items on eBay using dropshipping services, and you simply copy & paste your supplier item titles - it might not be enough in 2017. From the short example presented above, we can see that longer and better eBay item titles that include searched and popular keywords - can increase item visibility on eBay search results and generate more sales, sometimes with higher prices than your eBay competitors. eBay item titles are never “Too Long” - Use all the free space you have in your title and add more relevant keywords to your eBay item title such as: Item Color, Brand, Model, Material, Size, Item condition or Target Audience. Title-Builder.com is a free tool that generates eBay item titles for every product. You can type a few keywords into Title Builder, and it will generate an automatic eBay item title for your product. eBay’s search engine sees punctuation marks as empty characters. eBay sellers can remove these marks to free title space, and include more ‘Searched’ and relevant keywords. eBay’s search engine does not care about your grammar (yet…), the order of keywords in your title or whether your item’s title is meaningful. eBay sellers can free title space by removing words like: for, about, by, from, in, of, to, with, etc. 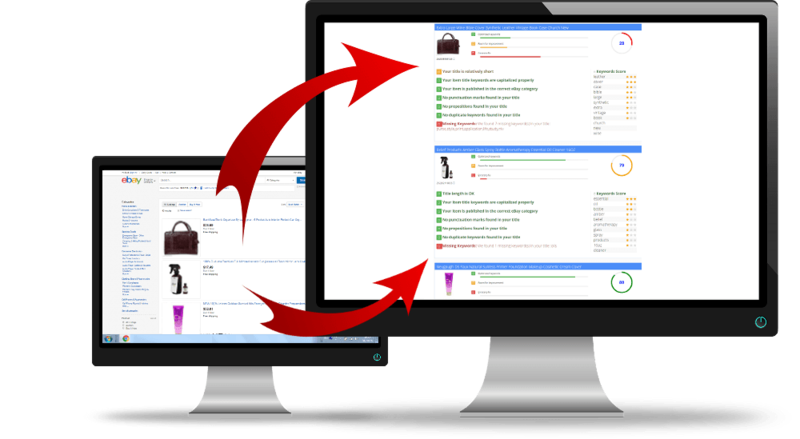 eBay Title Optimizer is an automatic eBay item title fixer that generates a full optimization report for your current eBay listings. The Free Plan fixes up to 10 eBay item titles while the paid plan can scan your entire eBay account and suggest fixed titles with better keywords for your eBay items. and Improve your sales on eBay! See What To Sell on eBay.Market Research in a single click! Copyright text 2019 by Title Builder | eBay Titles & Keywords Generator.